Top 16 Group F is headed by FC Bayern Munich of Germany, one of the best teams in the regular season with an impressive 9-1 record. 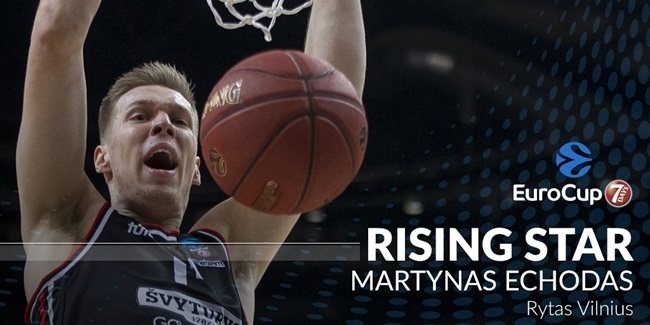 Bayern is joined by two-time champ Lietuvos Rytas Vilnius of Lithuania, perennial contender Zenit St. Petersburg of Russia and surprising newcomer Fiat Turin of Italy. The four teams in Group F demonstrated throughout the regular season that they do not shy away from important games on the road. Adding them all up, these four teams managed to pull 12 road wins in the regular season, more than any other combined figure in the other Top 16 groups. 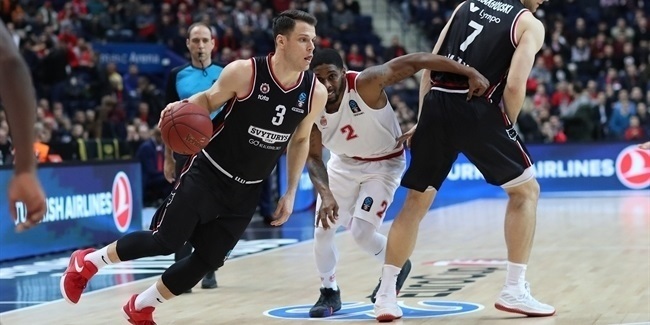 Bayern won four times on the road, Lietuvos Rytas and FIAT Turin won three each while Zenit managed to pull off a pair of successes away from St. Petersburg. Few teams have had as successful a regular season as FC Bayern Munich. Despite dropping the last game, having already qualified as group champ, the German team dominated in many statistical categories. Coach Sasha Djordjevic’s team topped the rankings for most fouls drawn (23.8), best three-point shooting percentage (43.5%), true shooting percentage (54.6%) and forcing the most turnovers by opponents (16.9). The team also ranked second overall in performance index rating (108.0 per game) and Steals (9.2) and boasted the third-best offense in the league (88.1 ppg.) combined with the third-best defense (74.9 ppg.). These numbers are only the mere representation of the kind of dominance that Bayern showed in the regular season, and it all happened after losing one of its most important players during the first three games, Vladimir Lucic, due to a foot injury. Expect that dominance only to likely increase, especially when the injured Valdimir Lucic manages to get back into rhythm. The EuroCup champion for 2005 and 2009, Lietuvos Rytas Vilnius, managed to sneak into the Top 16 with a deserving second place finish in Group C. That was mainly thanks to a 5-1 run in the last six games of the regular season, and that was only possible thanks to a solid team effort. It all started at home against Limoges with the duo of Rokas Giedraitis and Travis Peterson leading the way with 19 points apiece. Then came a weekly MVP effort by Chris Kramer with 27 points in Bilbao and a home win over Partizan thanks to 22 points by Jimmy Baron. The team was back to its winning ways in the last two rounds. First it was a huge home win over ALBA Berlin thanks to 21 points by Peterson and 19 by Ben Madgen, who had missed five games during the regular season due to injury. Finally, the last round saw the main player for the team during this phase, Loukas Mavrokefalidis, rise again after missing Round 9, with 13 points, the same amount as Egidijus Mojevicius, a newcomer who was only appearing in his second EuroCup game ever after having missed the first eight due to injury. This kind of versatility could be one of the main weapons for Coach Rimas Kurtinaitis in the Top 16, as the coach and team look to repeat the success they already had in 2009. Zenit St. Petersburg is competing in its seventh overall and fourth consecutive season in the EuroCup and only failed to advance from the regular season in 2009-10 under the name BC Triumph. This season it all came down to a last dramatic game on the road at Tofas Bursa, but the Russian squad managed to make the Top 16. Zenit's roster is a rather young one, but that doesn't mean it is not loaded with experience. Sharpshooter Kyle Kuric is the 45th best scorer in the league at only 28 years of age, and with his averages (11.1 ppg.) he could skyrocket into the top 30 by the end of the Top 16, while Drew Gordon, 27, dominates the EuroCup with no opposition under the boards (9.08 rpg.). Two tried and true veterans are added into the mix, Evgeny Voronov and Marko Simonovic are both 31. In his third EuroCup season with Zenit, Sergey Karasev is having his best year yet and has proved to be one of the driving forces on this team with a team-best 16.2 points per game. The Top 16 will allow the squad to start from scratch on its new attempt at the title, but the line between favorites and underdogs gets even thinner in the Top 16. 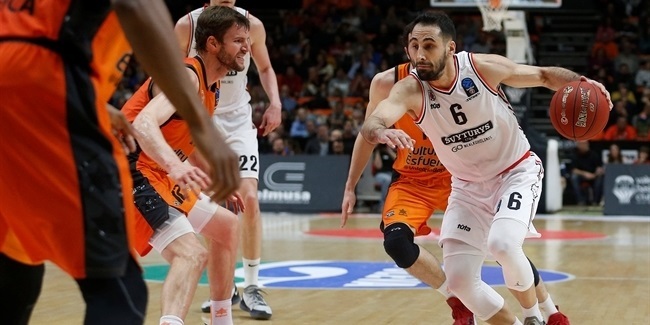 When the season started, many did not know what to expect from Fiat Turin, a team making its first appearance in the EuroCup. The club brought in experience at this level with Trevor Mbakwe and Sasha Vujacic and the group of players led by seasoned coach Luca Banchi soon made a statement by winning its first three regular season games. The alarms went red when that streak turned into a four-game negative one that had the team facing elimination. However, two more wins secured passage into the Top 16 for the team from a city that used to host the competition's finals. The two main engines of the machine are guard Diante Garrett (15.0 ppg.) and forward Lamar Patterson (also 15.0 ppg.). The team has probably made it further than many people expected, especially from a tough Group A, but from here, the pressure is completely off and the sky is the limit for Fiat Turin in its first season of European action.